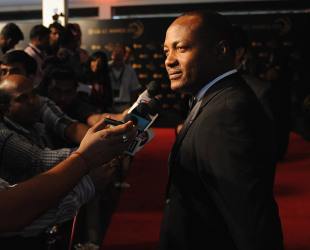 Brian Lara was made an offer to play for the International XI in the two unofficial Twenty20 matches in Karachi but he refused because he was concerned about the message his participation would send out, given that the PCB had disassociated itself from the games. "Yes, an offer was made to me," Lara told the Trinidad Guardian. "Until such time as the governing body in Pakistan [PCB] is able to convince the rest of the world that the best safety mechanisms have been put in place, and the ICC agrees, I would have to say no." The Twenty20 games between the International XI and a Pakistan All Stars XI at the National Stadium will mark the return of international players and cricket, albeit unofficial, to Pakistan for the first time since the terror attack on the Sri Lankan team bus in March 2009. The PCB issued No Objection Certificates to its contracted players to play the games and allowed the use of the venue but maintained the games were unofficial and unsanctioned. The Sindh sports minister, Mohammad Ali Shah, with the support of the Karachi government, arranged all logistic and security arrangements as well as the broadcasting deal. It was reported that the total cost of staging the matches was Rs 3 crore ($314,300 approximately*). The three West Indians in the International XI are former players Ricardo Powell, Jermaine Lawson and Adam Sanford, while Alvin Kallicharran is the coach and manager. Both Kallicharran and Powell, who was Lara's team-mate, said they were happy to be part of this venture. "To be honest, yes I was a bit hesitant initially, having heard stories of different kinds about playing in Pakistan," Powell told the News. "But when I was told by the organisers that everything is in order I took their word and I am here in front of you. I am feeling at home here and there are no reservations in my mind. I have played against Pakistan but this is my first visit to this country." *11:39 GMT, October 20: The amount in dollars was initially wrongly stated. This has been corrected.